Florida Law requires all construction contractor applicants to establish that they are both financially responsible and financially stable prior to issuance of their license(s). • Statement that Public Records have been searched on Local, State and Federal Levels. CBJ & Associates, Inc. is an approved Credit Reporting Agency listed on the Florida DBPR/CILB's approved credit reporting agency list. CBJ & Associates, Inc. together with our sister company: BSI Contractor Services, Inc. can ensure the completeness of your Florida Contractors license application. We also have a Surety Company thru which you will be able to obtain a bond. 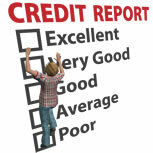 WHAT HAPPENS IF MY CREDIT REPORT SHOWS AN UNSATISFIED LIEN/JUDGMENT? You will be required to pay the lien/judgment(s) or establish a payment plan with the creditor. You will be required to obtain a Construction Bond OR Irrevocable Letter of Credit.